Three days of festival with programming dedicated to the independent scene! At Fort St-Père, Nouvelle Vague and Bon Secours Beach. Three days of festival with programming dedicated to the independent scene, names little- or unknown to the general public, but that delight connoisseurs! True to its reputation as a talent scout, the festival offers challenging programming that blends legendary artists and novelties from the international independent scene. Discover the program of the Festival La Route du Rock - Summer Collection 2018 - taking place from August 16th to 19th in Saint-Malo! Prices: Pass 3 days: 108 € Day: 46.50 € Pass 3 days give access to all concerts at the Fort Saint-Père. The camp site and the evening of Thursday 16 August are not included in the three day pass. Beach concerts on Friday 17 August, Saturday 18 August and Sunday 19 August are free. The festival takes place in Saint-Malo (Ille et Vilaine, Bretagne). 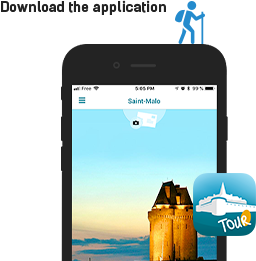 TheFort de Saint-Père is around 10 km from Saint-Malo, The Nouvelle Vague is in the rue des Acadiens at teh entry to the old town of Saint-Malo and the Plage Arte Concerts is located at the foot of the ramparts. Thursday, August 16, from 3 pm to 1 am (bus stop Nouvelle Vague, served from 6 pm). Friday, August 17, Saturday, August 18 and Sunday, August 29 from 10 am to 5 am every 45 minutes (60 minutes if there is a lot of traffic in Saint-Malo). Monday, August 20 from 6 am to 1 pm every 45 minutes (60 minutes if a lot of traffic in Saint-Malo) with a stop added to the Maritime Station. A single shuttle also rune between the Ferry (Gare Maritime) and the Festival on Friday 17 August at 08:30 am. Additional stop at the Aquarium / Hotel Park on request made to the driver, from 11 pm. Any exit from the Fort Saint-Père site is final. To get the best access access during the festival, send us a request using the form below. A car park reserved for people with disabilities is located less than 300 metres from the entrance to the festival. The campsite is accessible to people with reduced mobility. People with disabilities can use a special entrance with assistance, for quick access to the site. To help get a good view of the stages, a platform is accessible to wheelchairs (subject to availability). Adapted toilets will be installed in accessible locations for people with disabilities. The other festival venues (La Nouvelle Vague, Arte Beach, Chateaubriand Theatre etc.) are all accessible to people with reduced mobility.